Most of Mark Ivanyo’s work focuses on complex litigation involving a diverse case load from Texas Workers’ Compensation Act claims, to Longshore and Harbor Workers’ Compensation Act and Defense Base Act claims. With uncompromising determination, Mr. Ivanyo spends whatever time it takes to diligently defend the client. Having received a Top Oralist award in Moot Court while in law school, and being a finalist in Mock Trial, Mr. Ivanyo has a solid foundation for litigation and arguing on behalf of the client. His strong work ethic, high standard of ethics, and assiduous attention to detail make him valuable in any case he takes on. Mr. Ivanyo’s instinct is to always look to improve whatever he’s working on. 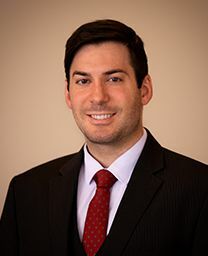 When not advancing clients cases, he fulfills that instinct by improving himself by brushing up on the latest relevant case law, watching formal debates on a variety of topics, being an active law school alumnus, practicing judo, and lifting weights. He received a Bachelor of Business Administration degree with a focus in Management and Marketing in 2011 from Texas State University – San Marcos, and received a Juris Doctorate in 2018 from South Texas College of Law – Houston. He is a Member of the American Bar Association, Houston Bar Association, and the Federalist Society.